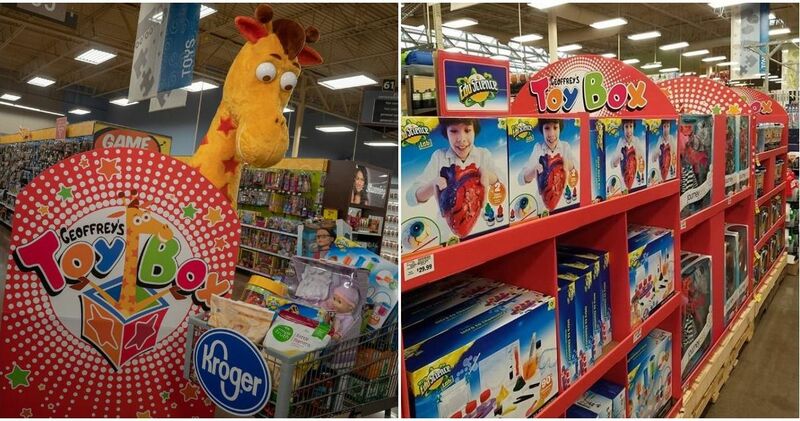 Some toys manage to gain such a huge following that looking back, seems a bit excessive. For example, we all had to own a yo-yo, but why? Its just a piece of plastic on a string. 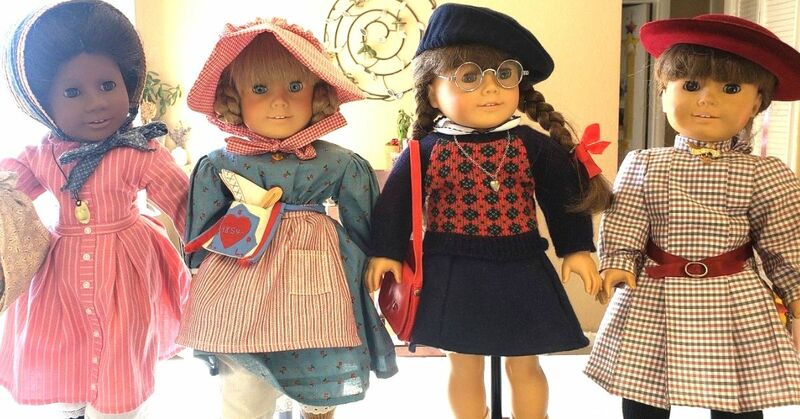 Or the mayhem that surrounded Cabbage Patch Kids, they were just dolls right? Wrong. They were an icon of society. 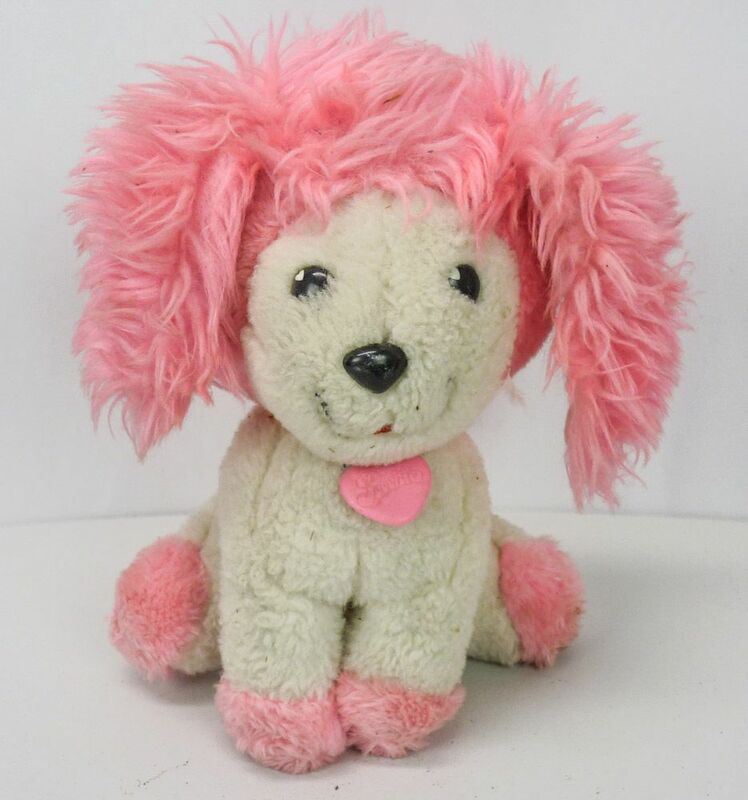 Another one of those toys that we all became inexplicably obsessed with was Poochie. 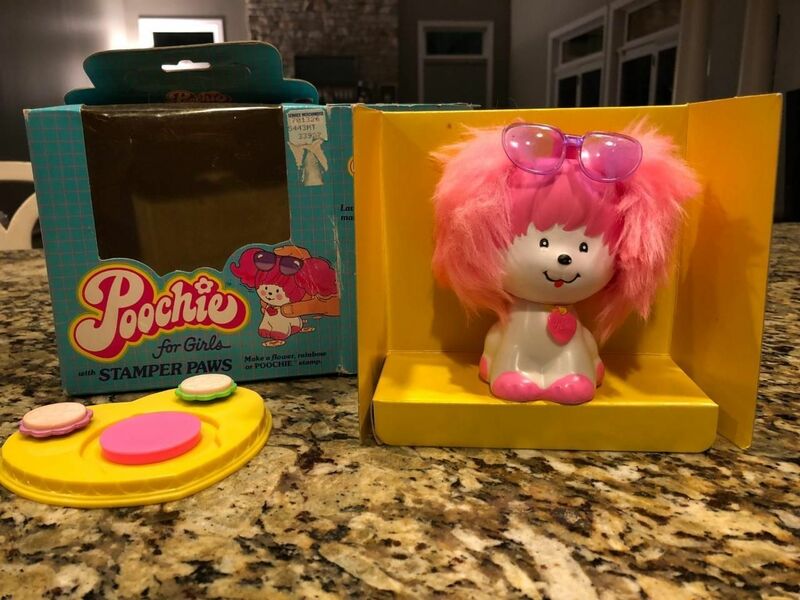 What's a Poochie? 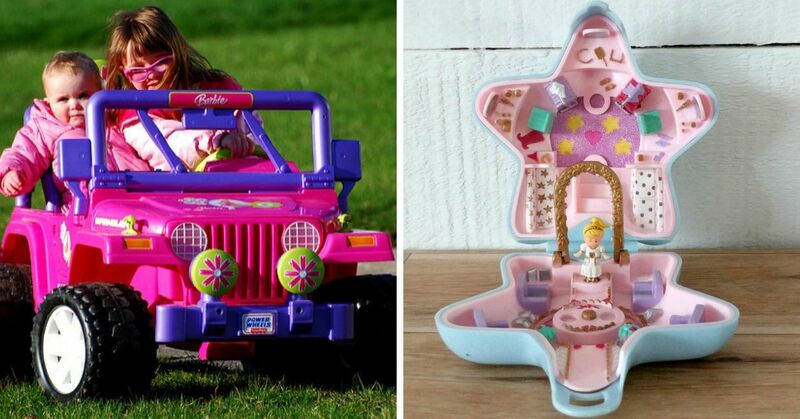 Well obviously it was only one of the very best toys in all the world! 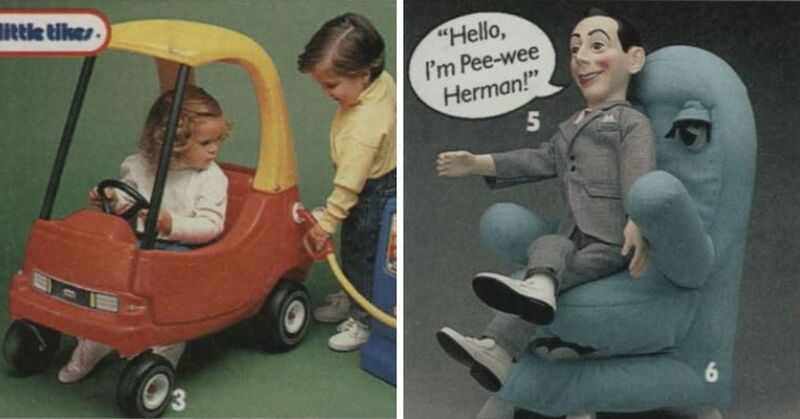 If you grew up in the 80s, then you will absolutely remember seeing the commercials all over the TV. 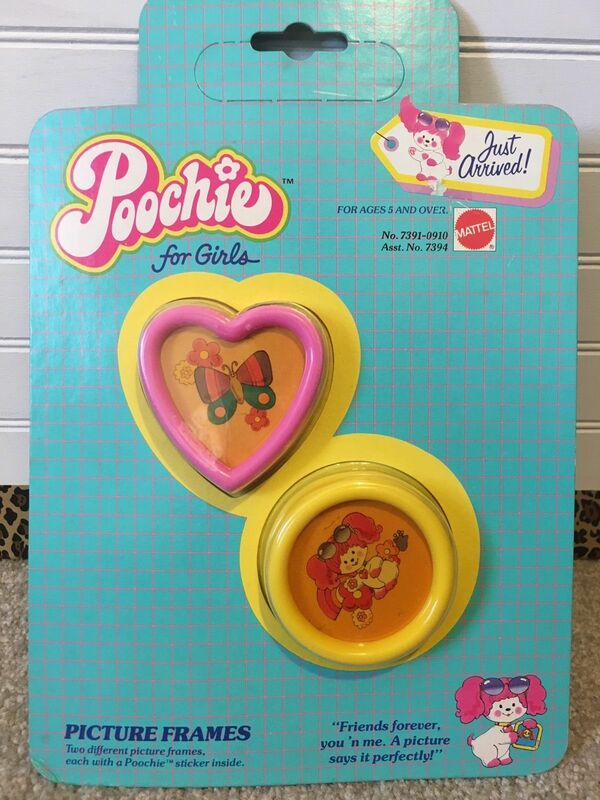 If you were lucky, you probably had a bunch of different Poochie products all over your house. 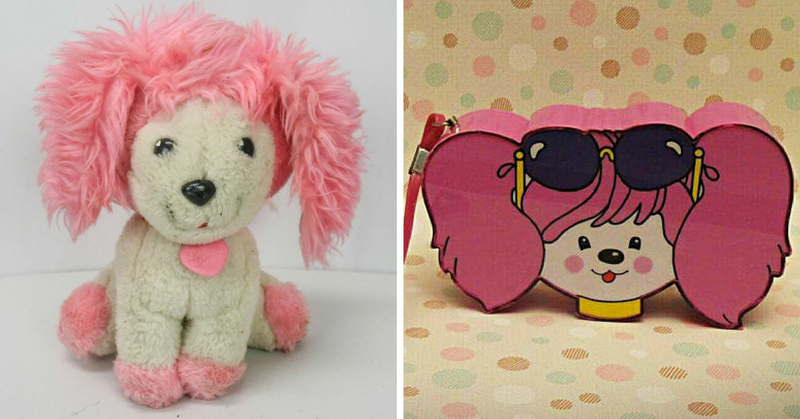 How many of these Poochie items do you remember begging your parents for? Because you know what kids love? 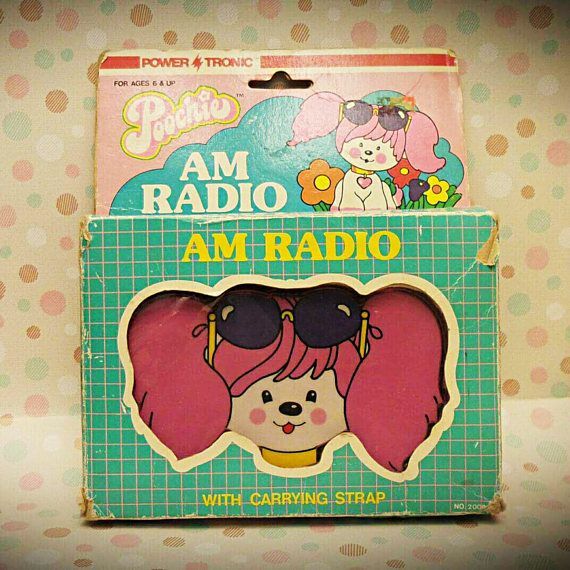 AM radio. 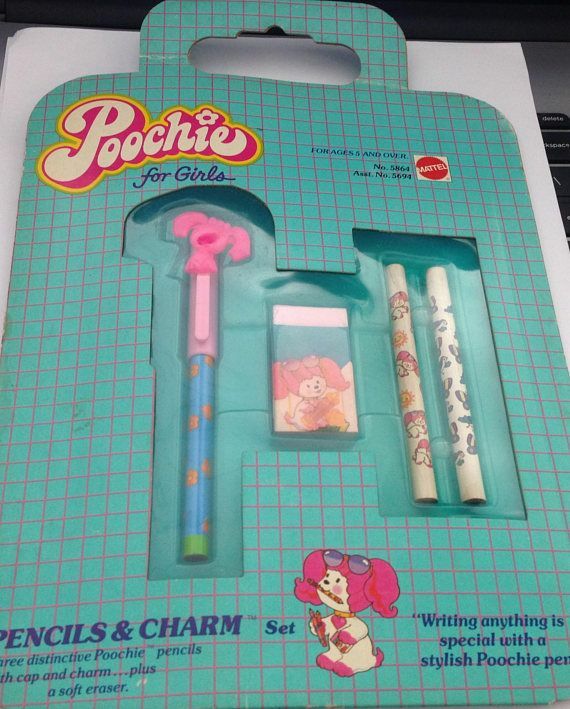 I mean, where else are you going to use those pencils? 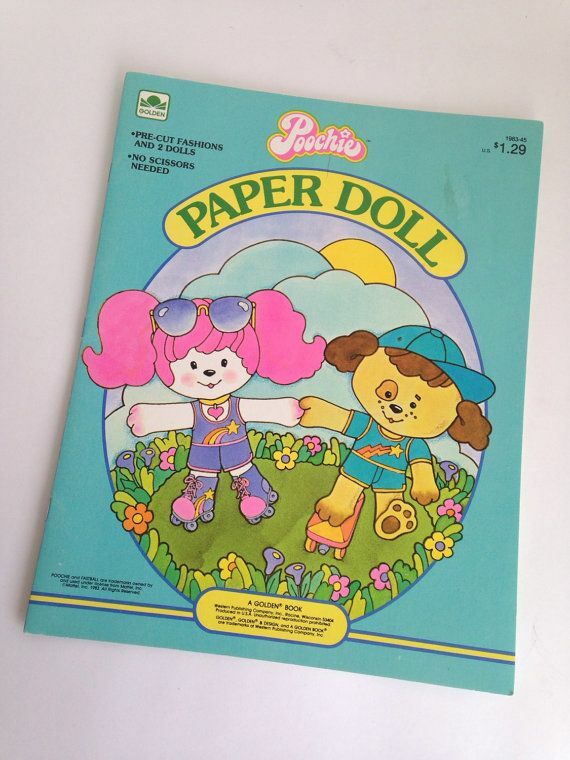 Paper dolls were easily one of the greatest things we had back in the day. It was surprisingly fun to just gently set paper on top of other paper. It sounds silly, but I swear it was fun! You can't have the toy without a story book to read while you cuddle it. That would just be unreasonable! This was a little more complicated. 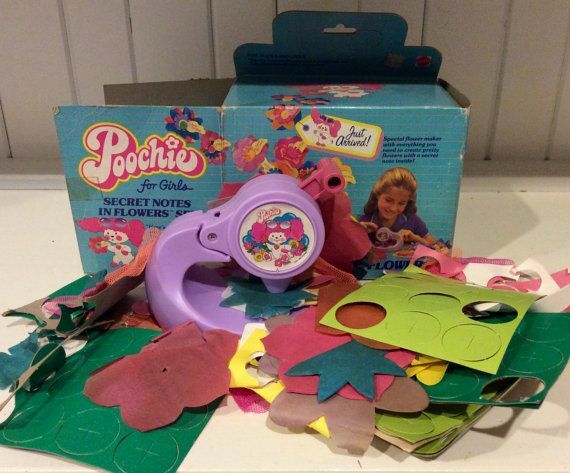 You had a flower maker and then would press it down and hide little secret notes in it. Because handing someone a flower is much more discrete then handing them a note. 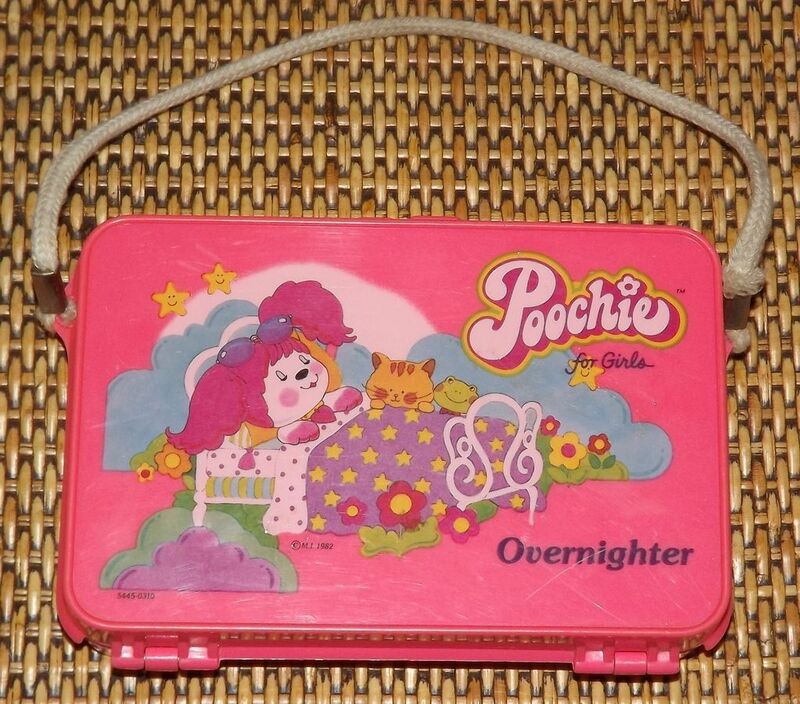 Perfect for a sleepover if all you wanted to bring was your Poochie doll because it is only 6" big. You get to make a little stamp out of your smaller version of your favorite dog, marking up all those lovely pieces of art you were making. It says right on it "When your tissues look this dandy, put them out and keep them handy." Obviously it's necessary. 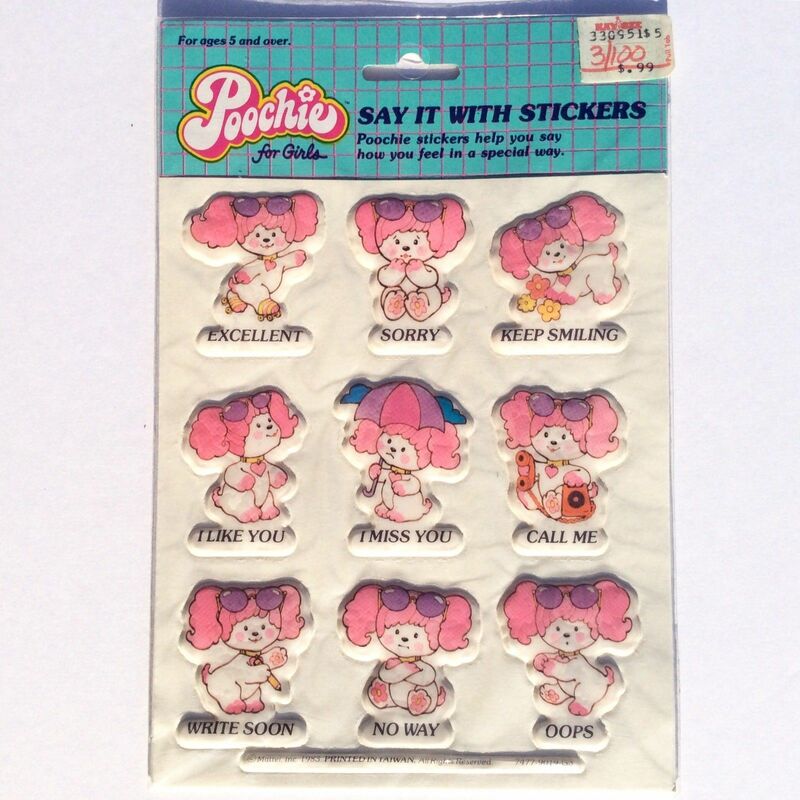 Imagine trying to apologize to someone by giving them the 'Oops' and 'Sorry' stickers? Not sure how that would go over. 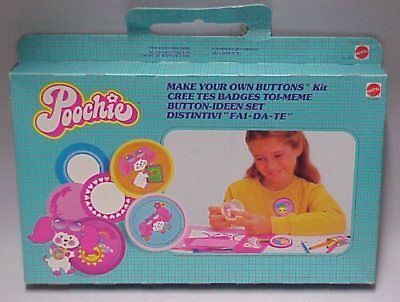 Because showing your support for Poochie via buttons is obviously a priority when you're young. A perfect little cover to keep your safety scissors in is always handy. 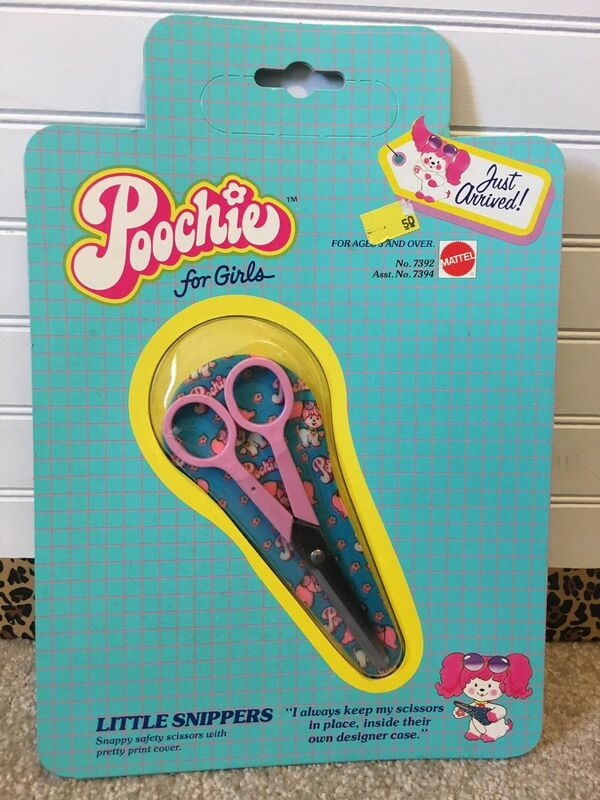 As the little quote from Poochie says, "I always keep my scissors in place, inside their own designer case." 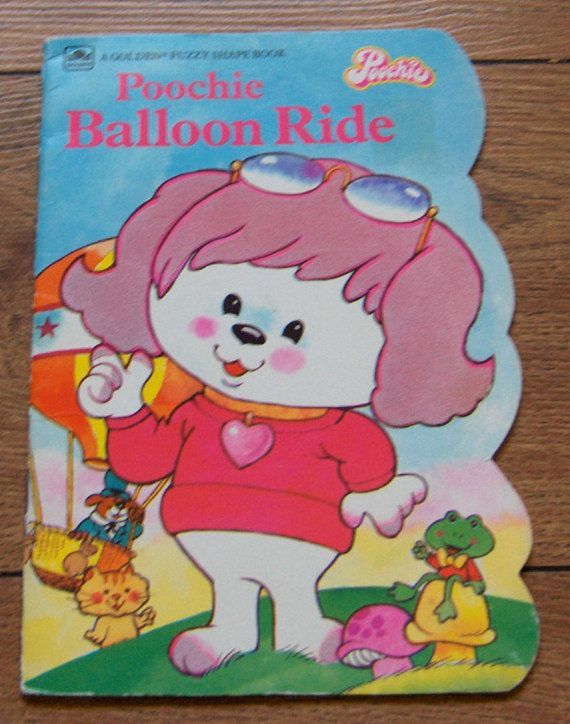 Seeing all the Poochie quotes they add on the bottom really gives it that extra special touch doesn't it? "Friends forever, you 'n me. A picture says it perfectly!" 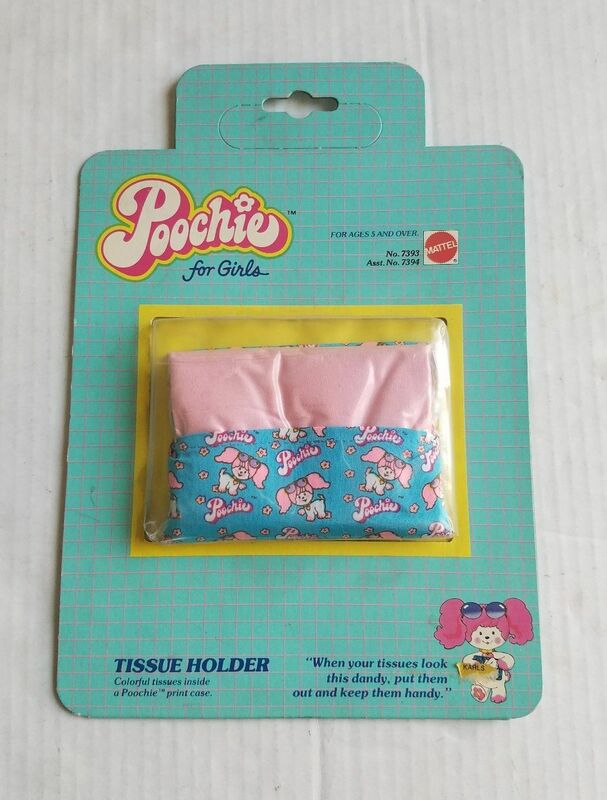 The perfect place to store all your very important stuff, like your Poochie scissors, Poochies stickers, and your Poochie pencils. 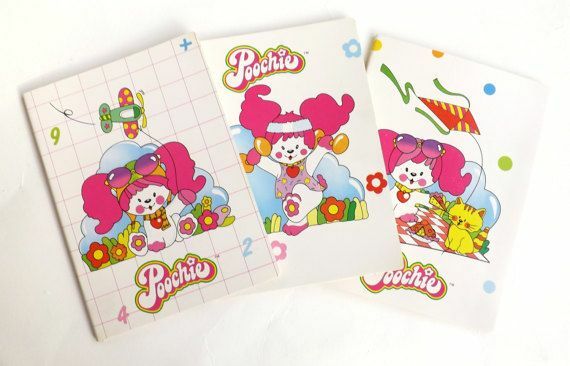 How well do you remember Poochie from your childhood? 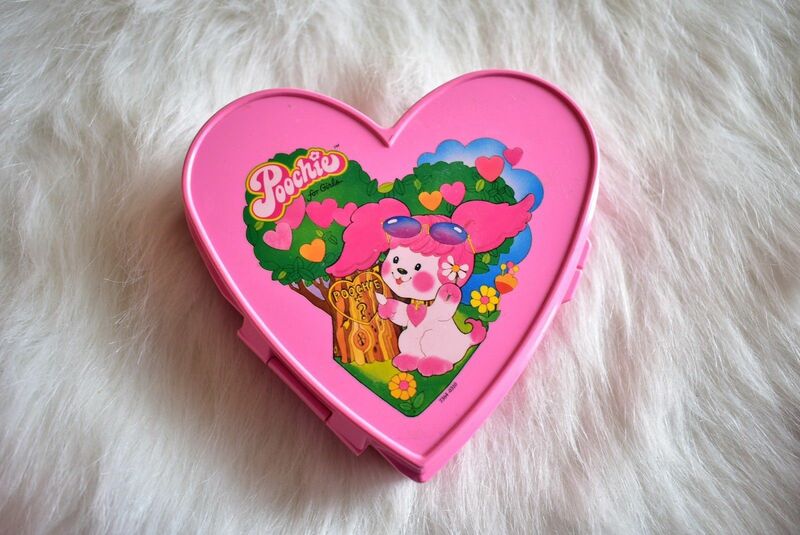 Did any of your friends or siblings have one?